More and more challenges come our way competing for the precious 168 hours we have each week. It’s important that we take responsibility and work at striking a balance to achieve more of the right things. Here’s 7 things to get you started. Having a view on where you’re heading will help bring objectivity and perspective. You are much more likely to make different choices if you can see whether you are moving towards or away from where you want to be. It’s in those choices that balance exists. Armed with your vision you need to use it regularly when making decisions. It’s easier to say “yes” or “no” to an opportunity or task if you can assess its overall impact. This can be as small as do you go for drinks after work…? The wheel of life tool is a simple yet highly effective way to assess where you are in each key area of your life. Some examples: health, family, friends, money and career. Subjectively rating yourself on a scale of 1 -10 will help you understand if there are any areas that are falling behind or way ahead at the expense of others. If you don’t like what you see take action to address this. It’s perfectly normal to have areas that get out of kilter from time to time. This approach will help you manage that. This is where you can have fun. Thinking about how you can be creative to get balance and ultimately achieve more is very rewarding. Here’s an example. Say your wheel of life tells you that your health and friends could do with a little attention. Rather than tackle these things separately why not get creative and find a way to achieve both at the same time. One client I worked with started playing tennis with a friend after work. Simple, yet effective. Establishing a personalised weekly R&P routine will help bring some of the above ideas together. Done well, you get to objectively ‘check in’ with what’s going on in your world every seven days. This helps tidy up outstanding actions and commitments and look forward to help you prepare for what’s coming. At least as important is taking a few minutes to reflect on what went well and what you’d like to improve on. Over a period of time this will put you in a strong position to achieve balance. The foundation for balance is making sure you are functioning well. Without that, all areas will suffer. I love the PRIME for Success approach that looks at your Physical activity, your Rest, your Intake, your Mind and your Energy. Read more about that here. 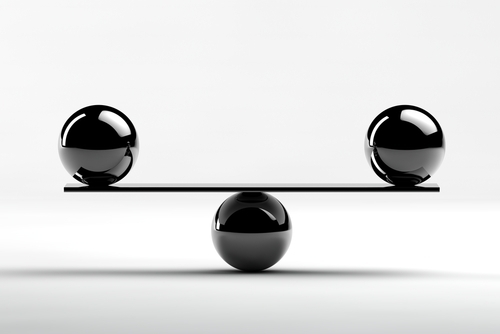 It’s easy to kid ourselves that we are more balanced than we imagine. Key to helping this is feedback. This can come in multiple forms from asking people to developing your own personalised dashboard, to track how you’re doing. The dashboard can include whatever you feel is important. I’ve worked with people who wanted to include health information, where they are financially or even how often they got home from work to read bedtime stories to the kids! The impact can be amazing when you see that you haven’t done the latter for two weeks, when you tell yourself being a Mum is so important. The feedback is only part of the story. You then need to make a choice. If you’re truly content with what you’re being told then fine. If not, what adjustments do you need to make? If you do just one or two of the above I believe you’ll start to get a better balance in your life. I’d love to hear your stories of things you’ve done as a result.